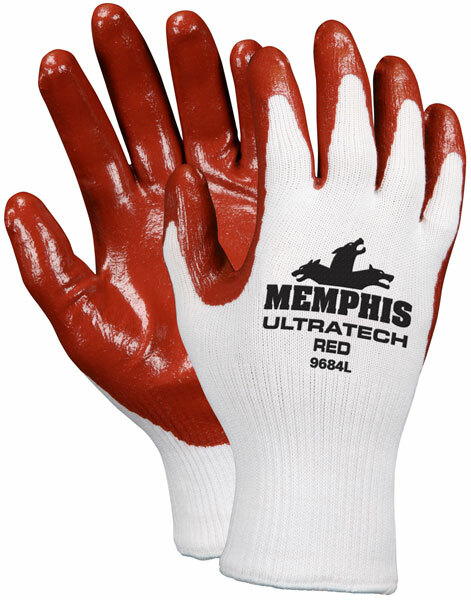 ULTRA FIT, ULTRA COMFORT & ULTRA PROTECTION are the distinguishing characteristics of the UltraTech® series. UltraTech® provides better fit and greater function with different material options. The 9684 features a 13 gauge white polyester/cotton shell and a red nitrile coating on the palm and fingers.